Most law firms and companies operating in the legal industry are aware of certain responsibilities they have when it comes to the archiving of email and other types of internal communications under compliance legislation, but aren’t sure how to achieve complete regulatory compliance in their organizations. Law firms particularly handle sensitive information that needs to be readily available for litigation and immediate retrieval, which is why firms need to protect their communication data and be able to access it quickly, accurately, and securely. Discussions with clients or other legal professionals via digital platforms need to be kept secure while remaining available for future reference. 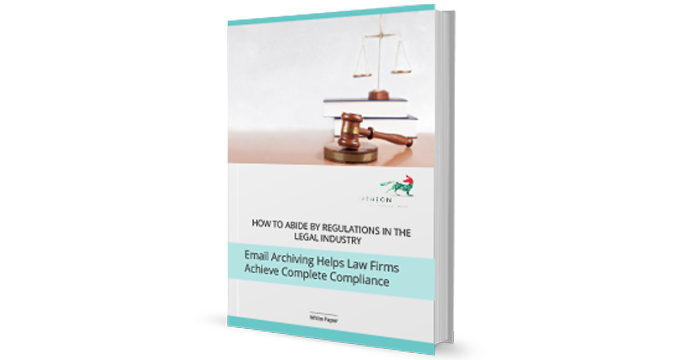 This white paper tackles the fundamentals of regulatory compliance and email archiving in the legal industry. 3. A constructive route towards implementing a fully compliant archiving solution.